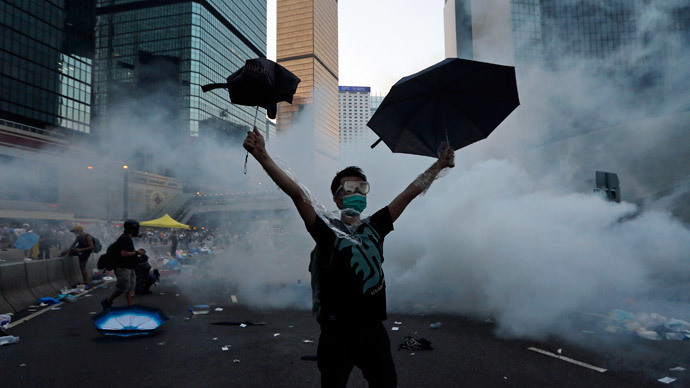 Over swirls of teargas and blankets of pepper spray that covered Hong Kong, the humble umbrella has become a vital defense tool for Occupy Central protesters, rapidly growing into the rally’s new symbol and an inspiration for viral posts on the web. 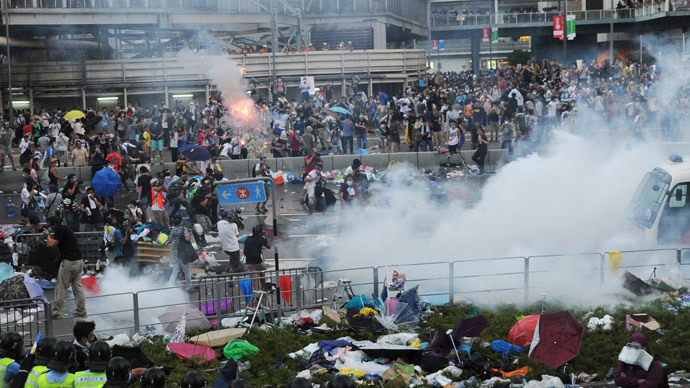 Hong Kong’s weeklong student sit-in is turning into an “Umbrella Revolution” as Twitter has been deluged with a flood of protesters shielding themselves with umbrellas from clouds of teargas. Even when teargas and pepper spray were cleared away, Occupy Central protesters participating in the sit-in kept their umbrellas open. The umbrella trend caught on like wildfire, especially when it was learned that some 78 people were arrested, ranging from 16 to 58 years old. But the violent confrontation did not deter the protesters, as tens of thousands again convened in central Hong Kong on Monday to rally for the right to elect their city’s executive by universal suffrage. What is now being hailed as the “Umbrella Revolution” started as a student demonstration last week. 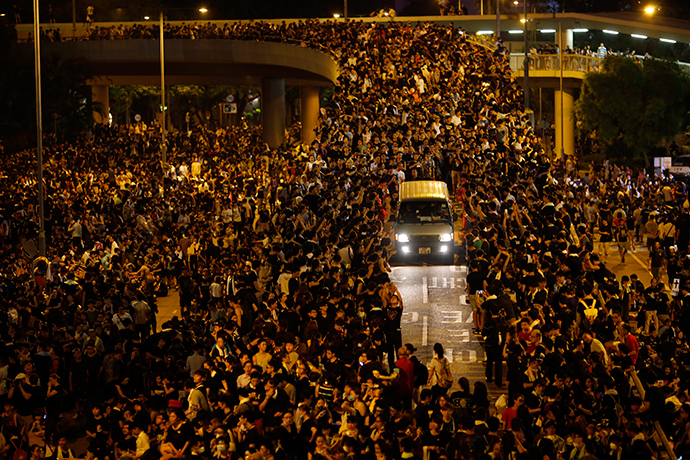 The students were then supported by the Occupy Central movement and the protests grew massively. Sunday’s pictures have gone viral online as the protest enters its second week and the second day since clashes with police. Social media users have started hashtags that are trending all across the region.